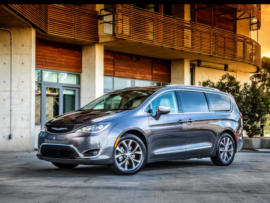 This matches with a recent report from Bloomberg that said that Waymo and Fiat-Chrysler would be working on the development of a ridesharing service that will utilize semi-self-driving Pacifica vans. That report claimed that this service could begin as soon as late 2017. With regard to what remains to be done before full commercialization, Waymo’s head of tech, Dmitri Dolgov, stated that work was underway to make rides “smoother,” maps better, and navigation more accurate with regard to potential problem weather such as snow and heavy rain. Very interesting news. We should get a much better idea of what’s in store at the upcoming Consumer Electronics Show (CES) in January. It seems very likely that the all-electric Chrysler Pacifica concept to be shown at the event will feature self-driving capability.